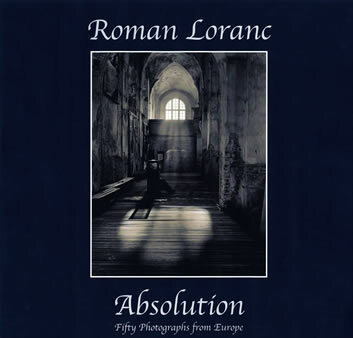 Roman Loranc draws upon a wealth of cultural tradition and profound emotion to create a timeless legacy of beautifully hand crafted photographs of Europe. Born in Eastern Europe in 1956, Loranc immigrated to California in the early 1980's. During the 1990's, he received acclaim for working with the Nature Conservatory to document the fragile beauty of the vanishing wetlands of California's Central Valley. Nearly twenty years after his arrival in California, Loranc began returning to Europe to visually explore both the unique countryside and architecture of his homeland, including the atmospheric interiors of its churches and sacred spaces. Absolution is a collection of the haunting results of Loranc's return to his native land and the visual journeys made over the ensuing decade.